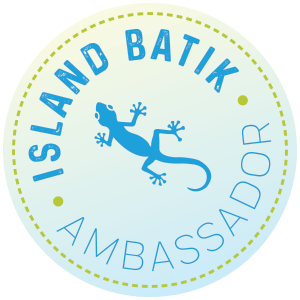 Quilting Affection Designs: Island Batik Ambassador Getaway Blog Hop! Island Batik Ambassador Getaway Blog Hop! Welcome to Day 10 of the Island Batik Ambassador Getaway Blog Hop. Today Jackie O' Brien aka If These Threads Could Talk and myself are bringing you wonderfully bright and gorgeous fabrics from Deb Tucker's Studio 180 Design Signature Collection "Twilight Chic." 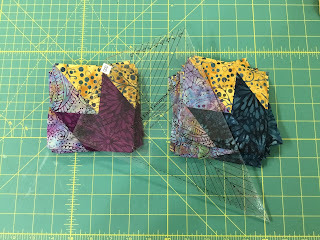 Jackie and I, are both Studio 180 Design Certified Instructors, so it was only fitting that both we received these fabrics for our Surprise fabrics in our Island Batik Ambassador box for this blog hop. 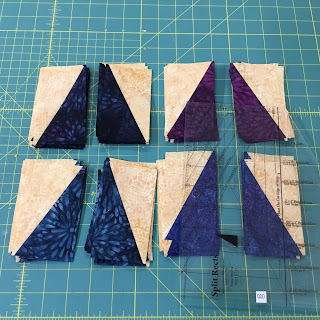 This was not the first time I played with the Gorgeous Collection, I was part of the "Evening Elegance" Blog Hop, which introduced the fabric collection to the public. In the blog hop, we added two new blockbuster blocks using this fabric collection each day over a week. I love the bright and bold colors that are featured in the collection. 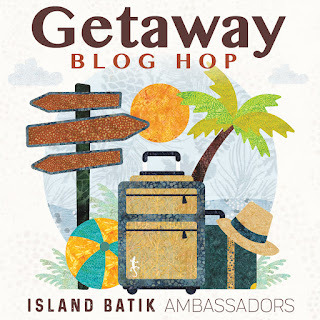 For this blog hop, the theme is Getaway. Getaway means time to travel home to the West Coast to visit family, or we love to take long drives to get out of the Hustle and bustle of the busy Washington DC area. Anyway, the project I designed for this blog hop reflects that flight of the great getaway. 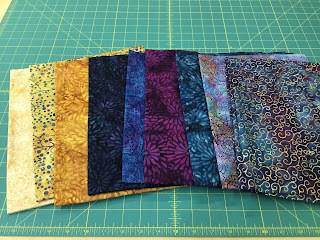 In this design, I used nine different 1/2 yard fabrics from the Twilight Chic collection. I also used the following Studio 180 Design tools; Split Rects®, Rapid Fire Lemoyne Star®, and the Square Squared® 6". 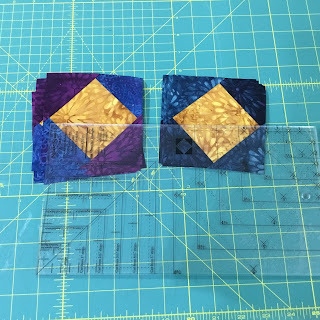 I started by making some mirrored split rectangles using the fun Split Rects® tool. 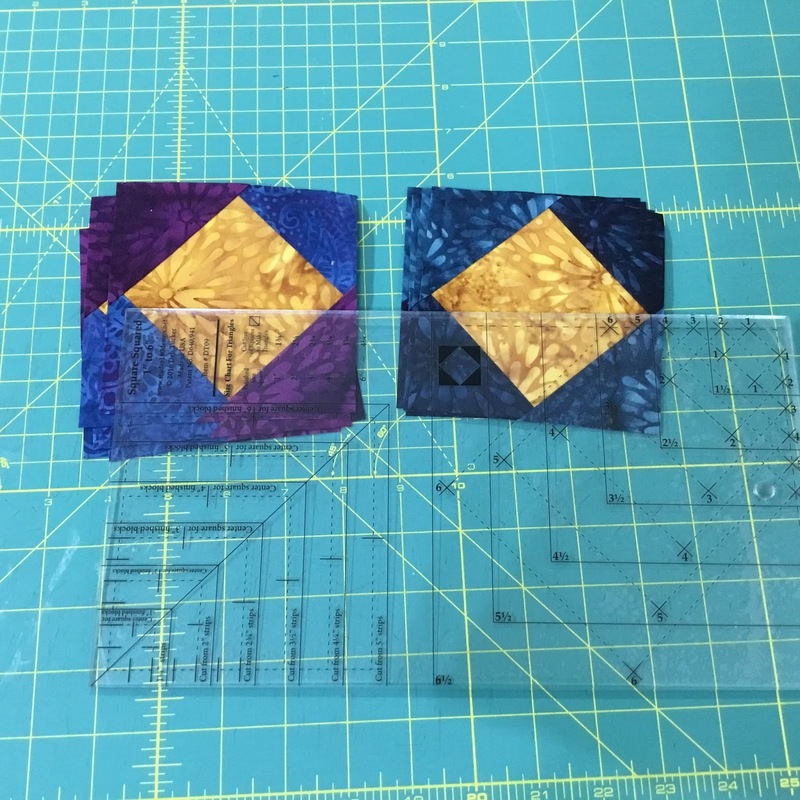 Each of the split rectangles used the same light background color, but the other half of the rectangles were in 4 different blues and purples. I think the Split Rects tool is my favorite tool of all the Studio 180 design tools. 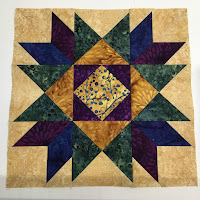 Next, I made some fun Rapid Fire Lemoyne Star for the corners of the blocks. 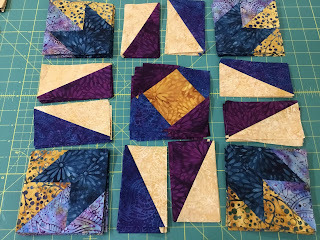 In these Lemoyne's I used to different background fabrics to add some interest to the blocks. Each of the points are done in blues and purples. The last units I made were the Square Squared® units. You will notice from the picture about each of the triangles in the corners are the opposite the other. Now, that all my units for the blocks were complete, It was time to assemble them into two different blocks. Once my blocks were completed I assembled my quilt top. 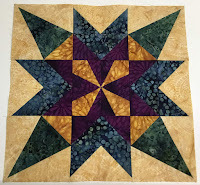 All I needed to do next was add borders and get it quilted. 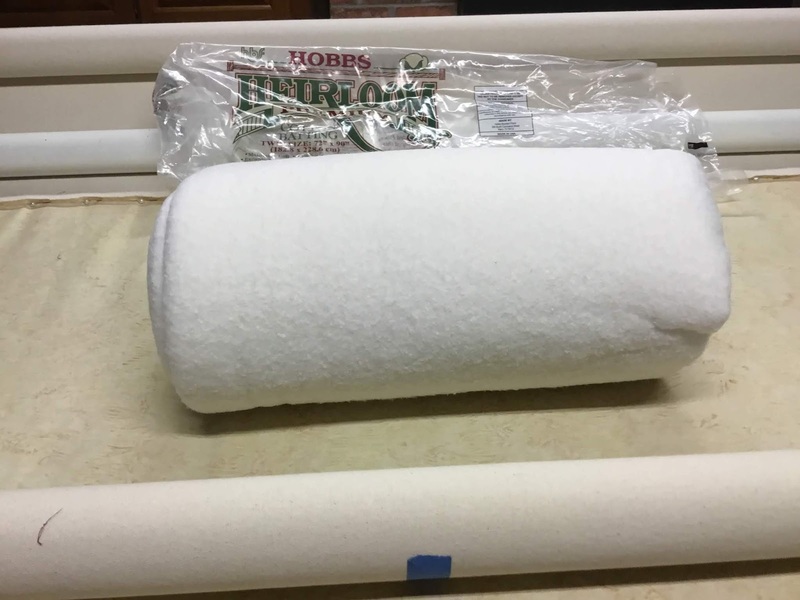 I finished the quilt using the Hobbs Heirloom cotton batting. Finally, I finished this gorgeous quilt, which I'm naming "Getaway." The butterflies in the quilt are taking a flight to get away from the busy world around us. 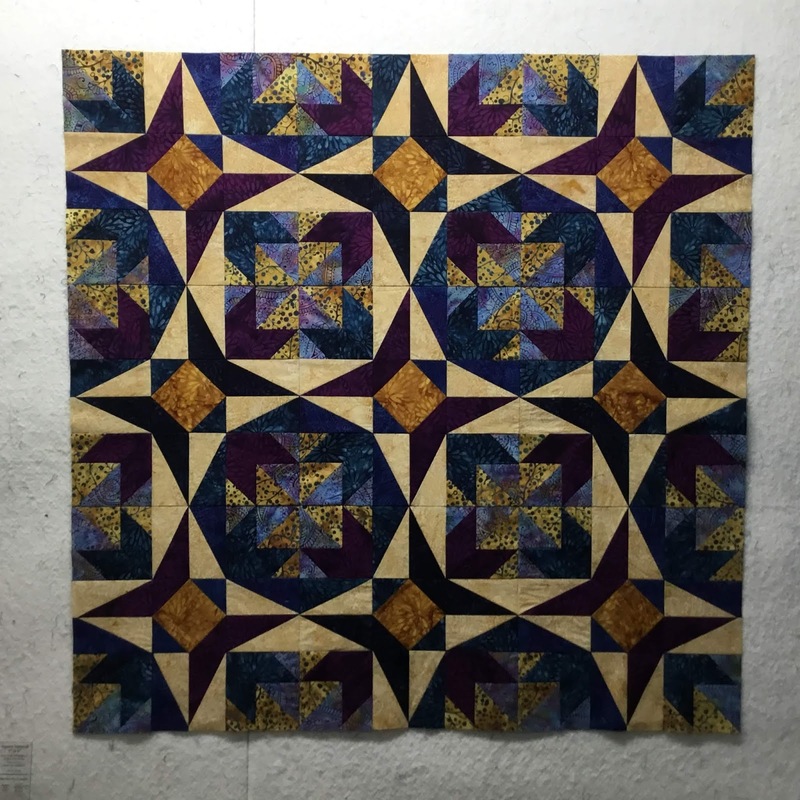 This quilt measured 45" x 45" when finished. I'm currently working on developing this into a pattern, so please stay tuned for the official announcement, by following my newsletter and blog here, to find out the release date. 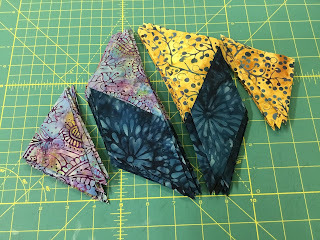 Thank you for stopping by my blog today, but before you go; be sure to check out the giveaway on the Island Batik blog page, they are giving away a Rainbow of 20 Fat Quarters. Jen Strauser –Dizzy Quilter <– That’s me! 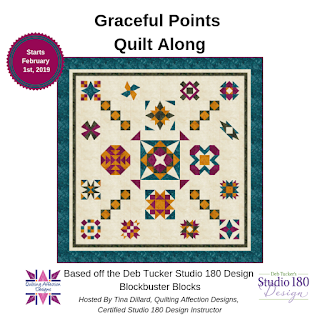 Also if you love Quilt Alongs and Studio 180 Design Tools be sure to check my "Graceful Point" Quilt Along Starting February 1st. 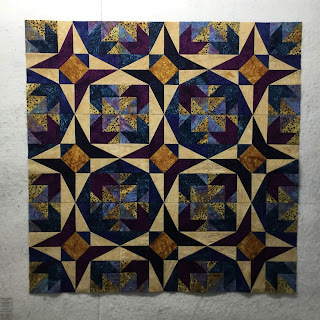 You can read more about this Quilt Along, right HERE! 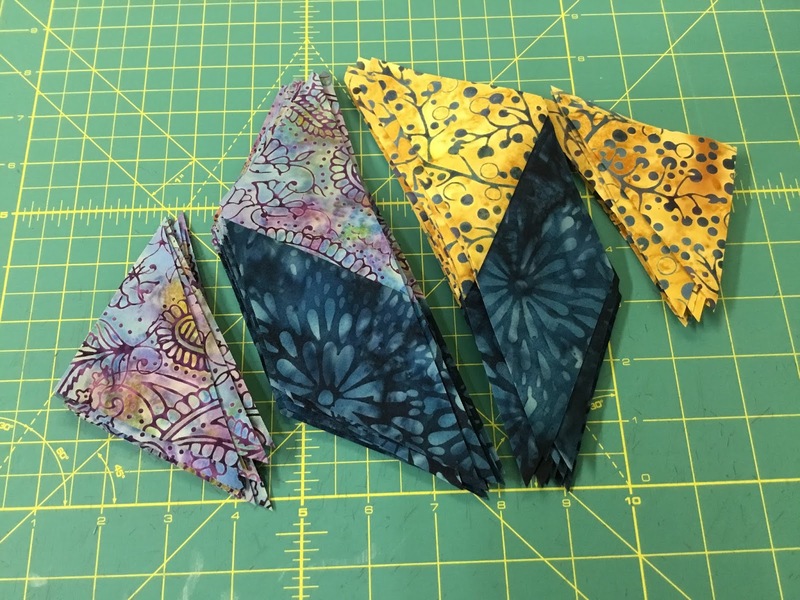 I love the block - and the pattern you get by using alternate colorings. You have made a really stunning quilt from these glorious fabrics. Love it. 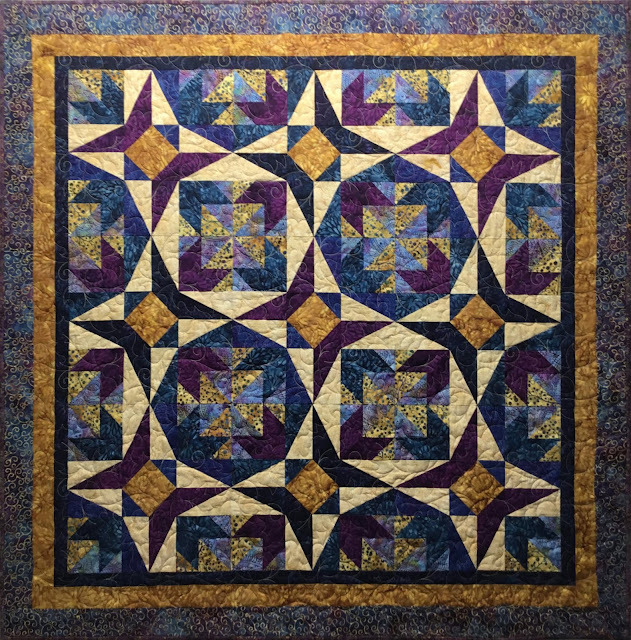 Beautiful quilt and it really showcases the beautiful fabrics! 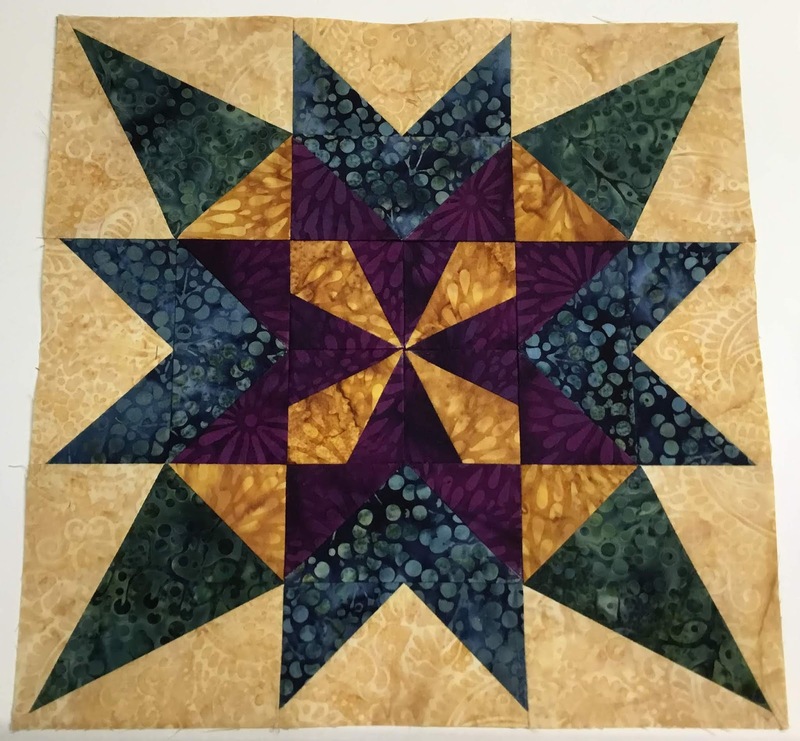 What a gorgeous quilt for those beautiful fabrics! Beautiful pattern with an interesting secondary design. You put those blocks together in such a pretty setting. Love it! Fantastic quilt. The borders make the blocks just stand right out. 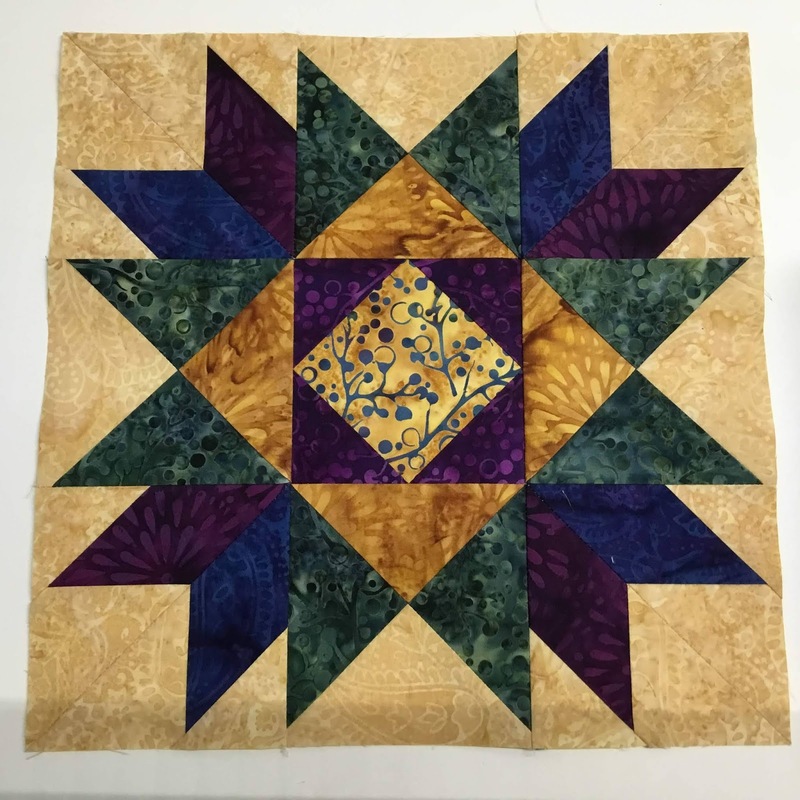 What a beautiful sparkily quilt! The fabric just looks fabulous - the light is perfect as is the placement of the other fabrics. I love it. Stunning quilt!! Love the movement you got and the fabrics just take it over the top!! What a lovely quilt! Love those butterflies. 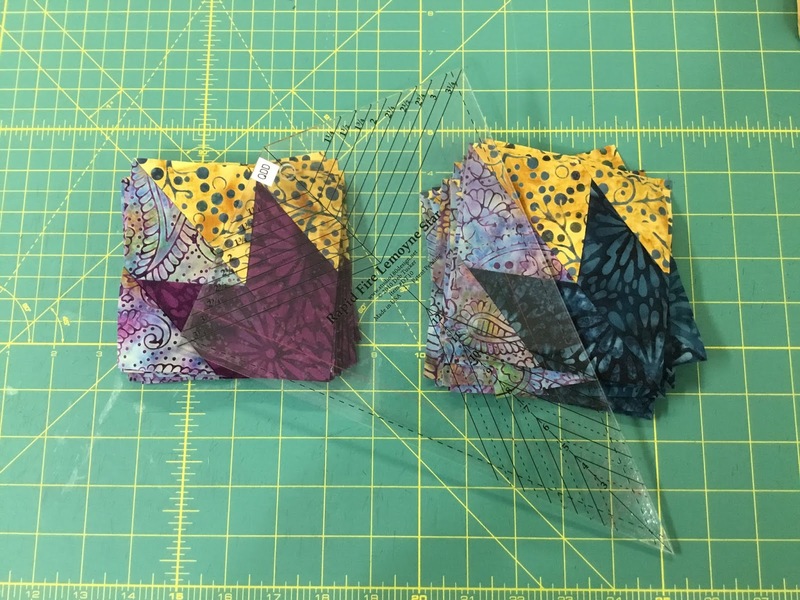 Fabulous job with this fabric line. Your quilt is so beautiful with the gorgeous batiks! Beautiful quilt, colors and pattern! Thanks for sharing. 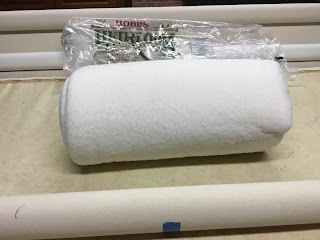 Love your quilt and the fabrics are perfect! Beautiful quilt! Some of the colors remind me of a worn suitcase that has traveled the world. What a beautiful collection! Love those deep rich colors. Your quilt is wonderful. Beautiful quilt! You have made the fabrics play so well together. Gorgeous! !